Welcome Bonus: Slots Heaven will match your first deposit by 200%, up to the value of $/€400. Players will also receive a further 180 spins, spaced out over 9 days, with 20 spins redeemable each day. Deposit Bonus: Slots Heaven offers separate ‘table welcome bonus’, with this bonus players earn 20 gold chips to use on table games. Slots Heaven is an online casino created by well-established casino brand Mansion Ltd, though it is now owned and licensed by ONISAC Ltd. The website has a slick user-friendly design and offers a respectable 300 games, which, as the casinos’ name may suggest, is largely dominated by close to 200 different slots games, some which featuring licensed characters and theming, such as Robo-cop. Slots Heaven also highly caters to those who a new to online gambling, who may be worried about some of the potential dangers of addiction or over-spending. They offer customizable player protection, where players can set spending limits, activity limitations and self-exclusion rules. They guarantee protection of minors, and work with numerous gambling charities and help services such as Gamcare, Gamble Aware, Gamblers Anonymous, Gambling Therapy, to ensure their site remains as safe a possible for their clients. Slots Heaven offers a wide range of customer support, with an FAQ page on their site, 24/7 live chat, as well as a UK freephone telephone number, and a support service email, meaning that players are always well cared for. 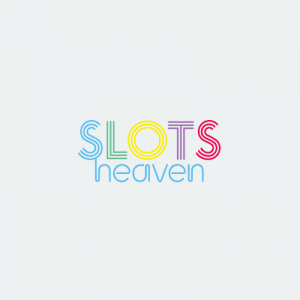 Slots Heaven also offers one of the widest range of depositing options currently seen online accepting deposits from: EcoPayz, Laser, Maestro, Neteller, PayPal, Paysafecard, Solo, Switch, Visa Delta, Visa Electron, instaDebit, Visa, Entropay, 4B, Euro6000, Skrill, Boku, Citadel Internet Bank, and WebMoney. Unlike many other online casinos, Slots Heaven rewards its members with 20 free spins on any ‘Age of the Gods’ slot games, just for registering. When a new player makes their first deposit, Slots Heaven will match it by 200%, up to a maximum value of $400. In addition to this, players will receive 20 free spins a day for the next 9 days, making a total of 180 spins, or 200 in total when you add on the spins earnt by registering. Slots Heaven also have a ‘table welcome bonus’ available to newbies alongside their main welcome offer. This is redeemable by those looking to skip the slots and head for the tables. Activating this offer requires a deposit of $/€20 alongside the entry of the offer code ‘TABLE’. Players must then wager at least $/€20 on any roulette or card game. Once this has been achieved, a pop-up will appear, rewarding players with 20 free gold chips. Winning Streak – This is a live roulette-based promotion, where players aim to land number 7 in order to win golden chips. The jackpot for this promotion is $/€100,000 worth of golden chips. Sofa Sundays – This promotion can be used between 00:01 – 23:59 (GMT) every Sunday on any of the selected ‘Age of the Gods’ slot games. In this promotion Slots Heaven offers 20% cashback up to the value of $/€20, on any losses. Beat the Dealer – This promotion can be won at any time and is a fun challenge for blackjack lovers. Players can win prizes of $/€500 and $/€1000 in cash. To do so players simply need to opt-in for the promotion, and score three (prize of $/€500) or four (prize of $/€1000) consecutive blackjacks against the dealer. 5 Card Charlie – This fun little promotion is also for table players. Simply opt-in and achieve a five card Charlie in blackjack to win $/€50 worth of gold chips. Slots heaven will also reward players who go bust 5 times in a row with $/€10 worth of gold chips. Premier League Spins – This promotion is running between 00:01 Friday 10 August 2018 – 23:59 (GMT) Sunday 12 May 2019, and is great for sports fans. Pick a team, and for every goal they score you’ll be awarded up to 20 free spins on ‘Gaelic Luck’. Slots Heavens’ VIP and Loyalty programs are one and the same. Players earn loyalty points by playing the casino games, and the amount of these points you have will determine your VIP status. There are four levels, bronze, silver, gold, and then VIP. Twice per level players can choose to convert their points into cash prizes, and the amount you can win scales up with each tier and redemption. For example, for the first 100 points that you earn, you can redeem $/€1, $/€10 when you reach 400 points, and once you reach the high levels of VIP status $/€5,000 awaits at 60,000 points. Slots Heaven has quite a heavy 40x play-through requirement, however, with the range of top tier games offered, this can be quite easy to achieve. Slots Heaven accepts a very wide range of deposit methods, including, EcoPayz, Laser, Maestro, Neteller, PayPal, Paysafecard, Solo, Switch, Visa Delta, Visa Electron, instaDebit, Visa, Entropay, 4B, Euro6000, Skrill, Boku, Citadel Internet Bank, and WebMoney. It also accepts the following currencies; Australian dollars, Canadian dollars, Euros, Hong Kong dollars, Japanese yen, New Zealand dollars, Norwegian kroner, British pounds sterling, South African Rand, Swiss francs, US dollars, and Denmark kroner. Slots Heaven will offer withdrawals using the following methods; Bank Draft, Bank Wire Transfer, Cheque, MyCitadel, Neteller, Visa Electron, Visa, Envoy, Skrill, CFT(Card Funds Transfer), WebMoney, and Boku. A minimum deposit of $/€20 is required, however, the maximum deposit Slots Heaven will accept is unspecified. The minimum transaction for withdrawal is also unspecified, however, the maximum amount which can be withdrawn is set at $/€20,000 per month. The estimated withdrawal times for Slots Heaven are listed below. Slots Heaven requires the standard authentication documents before the first withdrawal can be made. Credit card: A photo of the back and front of your credit card is required. Make sure that only the first six and last four digits are visible. Make sure you also photograph the three security digits on the back of the card. Proof of address is also required. Accepted forms of proof include bills and bank statements. Slots Heaven boasts around 300 high-quality casino games. Slots Heaven has 198 slot games including licensed titles such as Superman II and the Flintstones. Slots Heaven offers 27 roulette games, 24 blackjack games, and 42 other table games. Slots Heaven does offer some live dealer games, but many have found them to be a less successful section of the site. Slots Heaven offers a well-developed casino app, which has around half of the slot games available to play, as well as live dealer games. Slots Heaven is licensed and regulated by the Gibraltar Regulatory Authority and the UK Gambling Commission. The casino is operated by ‘ONISAC ltd’ (registration: RGL No.053) and its base of operations is registered to ONISAC Ltd of Suite 732 Europort, Gibraltar. Slots Heaven has a live chat support service which is available for clients to use 24/7. They also offer customers support via email and phone. Slots Heaven is an online casino made for slots lovers, whilst there are plenty of other live dealer and table games to play, two-thirds of Slots Heaven’s’ games are slot based, and feature both licensed and unlicensed characters and themes. While on paper their welcome offer might not seem the best, it is still comparative and fairly generous compared to other options on the market. What sets Slots Heaven apart from the rest however is the large range of fun and straightforward promotions offered. Their fun themes and easy entry encourage players to return and bring a real sense of fun to Slots Heavens’ offerings. Slots Heavens’ loyalty/VIP scheme is also quite unique and it’s great to see an option where with time and perseverance, any ordinary player can achieve VIP status. If your a slots player then Slots Heaven is as its name implies. Whilst there aren’t a wealth of non-slot-based games, there is still a fair amount and combined with the regular exciting promotions, is more than enough to keep even the pickiest of players entertained. The welcome offer is fair and enticing, and the site easy to navigate and user-friendly. Overall, Slots Heaven offers a fair and fun casino which shouldn’t be overlooked.